After munch fan-fare, Xiaomi Mi A2 Android One smartphone launches in India. Mi A2 was first unveiled in Madrid, Spain late last month and was launched alongside the lower-spec Mi A2 Lite. For the unknown, Mi A2 is an Android One variant of the Mi 6X which launched earlier in China. Android One is a collaboration between Google and Original Equipment Manufacturers to ship smartphones with a stock version of Android while guaranteeing regular software upgrades. 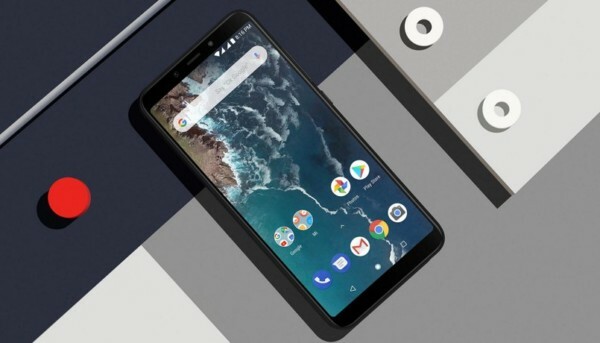 Xiaomi Mi A2 Android One smartphone launched in Spain in three variants- with 4GB RAM + 32GB storage priced at 249 EUR (approximately Rs. 19,800); the 4GB RAM + 64GB storage model at 279 EUR (approximately Rs. 22,200) and the 6GB RAM + 128GB storage model at EUR 349 (approximately Rs. 27,800). We can expect Xiaomi Mi A2 price in India to be approximately the same. Xiaomi will be hosting the Mi A2 launch event in New Delhi and readers who are interested can watch the Livestream of the event which starts at 4:00 PM IST. Watch the Mi A2 launch event Live stream here event.mi.com/in/picture-perfect. Xiaomi Mi A2 measures 158.7 x 75.4 x 7.3 mm and weighs 168 grams. The smartphone sports a metal unibody deisgn with a glass front. There is a 5.99-inch FHD+ (1080 x 2160 pixels) panel with 18:9 aspect ratio. The display has a PPI of 403 and a contrast ratio of 1500:1. Xiaomi Mi A2 is powered by the Qualcomm Snapdragon 660 SoC with Adreno 512 GPU. It includes 4/6GB of RAM and 32/64/128GB of onboard storage. On the camera front, there is a dual rear setup- 12-megapixel Sony IMX 486 sensor with f/1.75 aperture, 1.25-micron pixel size + 20-megapixel Sony IMX376 sensor with 4-in- pixel binning technique, f/1.75 aperture and 2.0-micron pixel size. The front camera is a 20-megapixel Sony IMX376 sensor with 4-in-1 Super Pixel based on pixel binning, 2.0-micron pixel size and f/2.2 aperture. Xiaomi Mi A2 is a dual-SIM smartphone that is backed by a 3010mAh battery and runs on Android 8.1 Oreo operating system. With respect to connectivity, the smartphone supports WiFi 802.11 a/b/g/n/ac, Bluetooth 5.0. There is a dedicated fingerprint sensor, USB Type-C Port, 3.5-mm headphone jack and a single speaker grille on the smartphone.